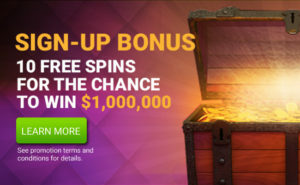 In addition to getting a sign up bonus of 10 FREE spins on the Million Dollar Slot, CanPlay Casino will also reward you with up to $1,000 in casino bonuses on your first three deposits. Come and get your match bonuses worth up to $1,000. 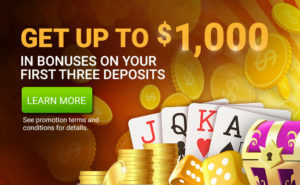 Become a CanPlay Casino player today! The New Depositor Promotion is valid from May 15th, 2018 through December 31st, 2019 on CanPlay Casino. 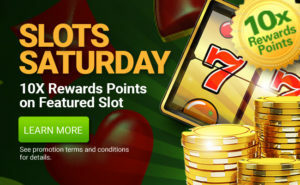 CanPlayCasino.com reserves the right to change or cancel this promotion in its entirety at any time. CanPlay Casino also withholds the right, at its discretion, to exclude any individual or individuals from participation.